Conventional mortgages aren't federally guaranteed. Down payments can be as low as 3% but qualifications are tougher than for FHA and other government home loans. A conventional mortgage is a home loan that isn’t guaranteed or insured by the federal government. Conventional mortgages that conform to the requirements set forth by Fannie Mae and Freddie Mac typically require down payments of at least 3%. Borrowers who put at least 20% down do not have to pay mortgage insurance premiums, which are typically required with FHA loans. Loans guaranteed by the Federal Housing Administration, or FHA loans, aim to make buying homes more affordable for low- to middle-income families, with relaxed lending standards, down payments as low as 3.5% and competitive rates. Two other loan programs backed by the federal government have similar aims: VA loans are guaranteed by the U.S Department of Veterans Affairs and are available to active military and veterans only. And USDA loans are backed by the U.S. Department of Agriculture and are geared toward buyers of rural properties. Conventional mortgage borrowers typically make larger down payments, have secure financial standing and are at low risk of defaulting. Conventional mortgages are offered by many lenders that also offer FHA, VA and USDA loans. Lenders view conventional loans as riskier because they’re not guaranteed by the government if a buyer defaults, so these mortgages can have tougher requirements and higher rates. Conventional mortgage borrowers typically make larger down payments than FHA borrowers, and they tend to have a more secure financial standing and are less likely to default. A larger down payment means lower monthly payments. Plus, with the ever-increasing mortgage insurance premiums on FHA loans, payments for conventional loans that don’t require private mortgage insurance can be much more manageable in comparison. In addition, with a conventional loan, you can cancel your mortgage insurance when the principal loan balance drops to 78% of the home’s value. FHA loans charge mortgage insurance premiums for the life of the loan. 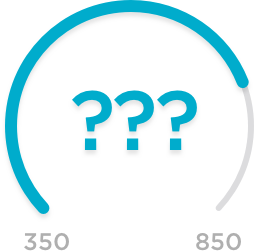 Requirements vary from lender to lender, but 620 is typically the minimum credit score needed to obtain a conventional loan, and 740 is the minimum score you need to get a good mortgage rate. The term of a conventional mortgage is usually 15, 20 or 30 years. A conventional mortgage can require a sizable down payment in comparison to other types of mortgage loans. Conventional lenders have traditionally required up to 20% for a down payment, but now they can offer a 3% down payment program to compete with the 3.5% minimum down payment option for an FHA loan. Down payment requirements can vary based on the lender as well as the borrower’s credit history. Conventional loans tend to have a higher out-of-pocket cost at closing than other types of mortgage loans. In addition to the down payment, borrowers are often responsible for origination fees, mortgage insurance and appraisal fees. As such, conventional loans tend to have a higher out-of-pocket cost at closing than other types of mortgage loans. » MORE: What is private mortgage insurance? Conventional mortgages fall into two categories: “conforming” and “nonconforming” loans. Conforming loans follow the guidelines set by Fannie Mae and Freddie Mac, two government-controlled companies that provide money for the U.S. housing market. The most well-known rule has to do with the size of the loan. In 2019, the conforming loan limit for single-family homes in most of the continental U.S. is $484,350. Higher-cost areas, such as Hawaii and Alaska, have higher limits up to $726,525 for single-family homes. Nonconforming loans, often called jumbo loans, are for borrowers who don’t qualify for a conforming loan because the amount is higher than the conforming limit for the area. Because they don’t conform to the guidelines, jumbo loans are usually harder to sell on the secondary market (when lenders sell their loans to other institutions), making them less attractive to lenders. And the higher amount of money involved also means more risk for the lender. » MORE: Conforming vs. nonconforming loans: What’s the difference? Other types of nonconforming loans include those made to borrowers with poor credit, high debt or recent bankruptcy, or on homes with a high loan-to-value ratio (usually up to 90% for a conforming loan). Lenders typically charge higher rates for nonconforming loans, and they may carry other fees or insurance requirements due to their riskier nature. Conventional loans are an excellent option for borrowers with strong credit who can contribute a down payment of at least 3%, or perhaps quite a bit more. Compare the benefits of a conventional mortgage with those of FHA and VA loans to determine which product best suits your needs.